Here are five more things that need to happen in Big D.
The Dallas Cowboys had a good season last year, but it wasn’t enough. With a team full of young talent, expectations are high and this squad has a great chance to be something special in the near future. But what exactly needs to be done to get there? Yesterday, we looked at five things they can do to fix the team in order to take home the big prize, today we’ll cap it off with five more. The New England Patriots were smart in signing Buffalo Bills Pro Bowl cornerback Stephon Gilmore. He’s getting $13 million a year, but he’s a good player. The Los Angeles Rams got great contribution from their one-year, $14 million rental in Ndamukong Suh. Both teams were active in free agency and found key players to help strengthen their team. And with over $50 million in cap space this season, many fans are calling for this to be the year that the Cowboys make a splash in free agency. Landing a great free agent is wonderful, but it’s risky business. Team’s don’t willingly just let star talent get away. In most cases, the new team overpays for the actual worth of the player. Can the Cowboys afford to take some chances? Sure, but keep in mind - this cautious approach to free agency is why the Cowboys have the money to pay their own star players like DeMarcus Lawrence, Amari Cooper, and several other young stars with soon-to-have expiring rookie contracts. Dallas will sign some free agents, but they need to look for cheap fillers like Cameron Fleming, Antwaun Woods, Joe Looney, Joe Thomas, and Brett Maher. All of these guys played a role on the team with some of them logging some extensive snaps last year. Keep filling holes will low-cost free agent signings and save the big money for the stars. This is a recipe that is setting this team up nicely for years to come. The Cowboys are really close to having the talent to go toe-to-toe with the games best teams. The have Pro Bowlers all over the roster. That’s why it’s frustrating when opponents win battles as a result of some mental lapse by the Cowboys. When teams did have success against Dallas last year, more times than not it wasn’t attributed to being outplayed, but rather just being out of position. The Cowboys have their own fair share of crafty moments when they out-smart the opposition. You don’t make it to the Divisional Round without doing that. But there are still times where the players aren’t put in the best position possible and that falls on the coaches. In the playoff game against the Rams, Sean McVay ran a lot of motion and were constantly adjusting to how the Cowboys defense moved around. They even were tipped off by the slightest of tells from the Cowboys players prior to the snap. In the poker game of football, McVay’s group was making better reads that Garrett and company. The coaching staff got out-coached. And let’s not forget how the Seattle Seahawks picked up on hand signals that allowed them to figure out Kris Richard’s coverage schemes, resulting in a huge 52-yard touchdown play to Tyler Lockett in Week 3. Here’s Doug Baldwin talking about how Caleb Scott and Alex McGough successfully deciphered the Cowboys defensive hand signals last Sunday on the Tyler Lockett touchdown. Opponents pick up on these types of things all the time and you can tell football players are observant creatures when you hear Tony Romo constantly predicting plays. This is more common than people realize and the real challenge is stopping it even when you know what’s coming. But the Cowboys need to be a little more discrete about what they are showing teams so they aren’t at a disadvantage before the ball is even snapped. Last year was phase one of the wide receiver overhaul and boy was it a big one. Last offseason; Dez Bryant was released, Brice Butler left (and returned, and left) in free agency, and Ryan Switzer was traded. Terrance Williams was still around, but he only played three games after injuring his foot and having some off-field trouble. So, out with those guys and in comes: Allen Hurns, Deonte Thompson, Michael Gallup, and Tavon Austin. The team also traded for Amari Cooper midway through the season. It’s a new-look receiving group and it’s unclear if the last two WR’s from the 2017 team, Williams and Cole Beasley, will be a part of it. The team could still be looking to add some more fire power at the position this offseason. The draft will feature several talented young pass catchers. Maybe they look for a speedster who can be a vertical threat? Maybe they’ll look for a new slot receiver? Not only does the team have another draft to work with, but last year’s sixth-round pick, Cedrick Wilson, should be ready to go after missing the season with a shoulder injury. Expect this group to be even stronger in 2019. Ezekiel Elliott is the team’s workload back and that’s exactly how he’s used. Last year, he played in 83% of the offensive snaps and whether it was on the ground or catching passes, there was a whole lot of mileage put on the team’s young star running back. While Zeke’s durability is unquestionable, the extra work took a toll on him. There were several times where he limped on the field as he battled through foot and knee injuries. The team could alleviate some of the strain on Elliott by getting him a fresh set of legs to spell him at times during the game. Rod Smith is a free agent and it’s unclear if the team will bring him back. Maybe the team looks to the draft to bring a new running back on the team. A nice receiving back with some speed in the open field could be a good asset for a team that is trying to add a spark to the offense. The Cowboys have this “process” where they draft the right kind of guys, coach them up, and then hope they become talented enough players to help them win football games. This process requires a keen eye for seeking those players who can maximize their potential. It also requires a coaching staff that is competent enough to develop their players. And finally, it requires the funds to retain the players when they have demonstrated that they are worthy of keeping around. The Cowboys have the tools in place to do all of those things. Thanks to cautious free agent spending, the team has over $50 million in cap space entering the new season and that already includes the $13 million that Amari Cooper is already on the books for. They have a lot of cap space, but that money will be put to good use as the team has some young Pro Bowlers that they need to get re-signed. Jerry Jones has a tendency to drag out re-signing his stars and that’s not because he’s wavering on paying them. He’s just trying to get a cheaper price. Even the unquestionably talented Zack Martin didn’t get a new deal until he was entering his fifth-year option season. So don’t be concerned if certain guys aren’t inked right away, because they’re going to be eventually. 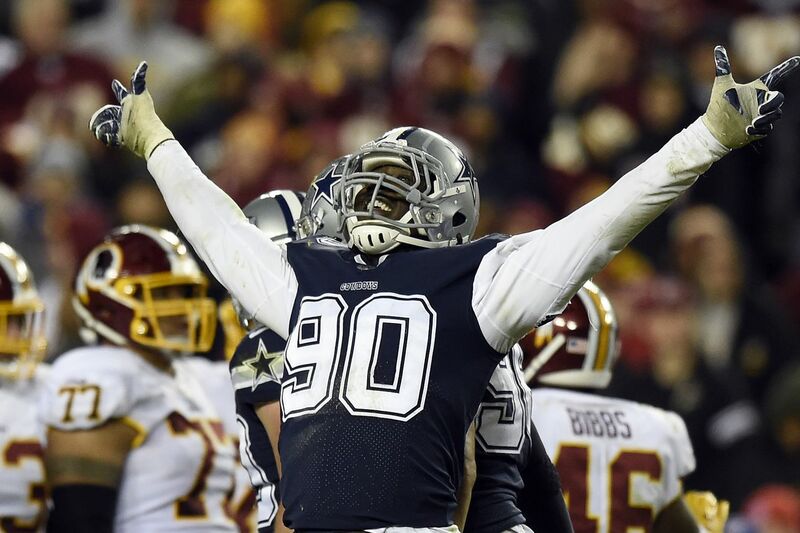 For now, Jones needs to focus on getting DeMarcus Lawrence’s contract done. Jones’ has drug that out enough and it’s time to pay him. And look for Cooper to be next as there is really no reason to wait. He’s already counting heavily against the cap so the team wouldn’t be saving much by letting his current deal play out. The Cowboys have done the hard part in finding these great players. Now they just have to pay them.